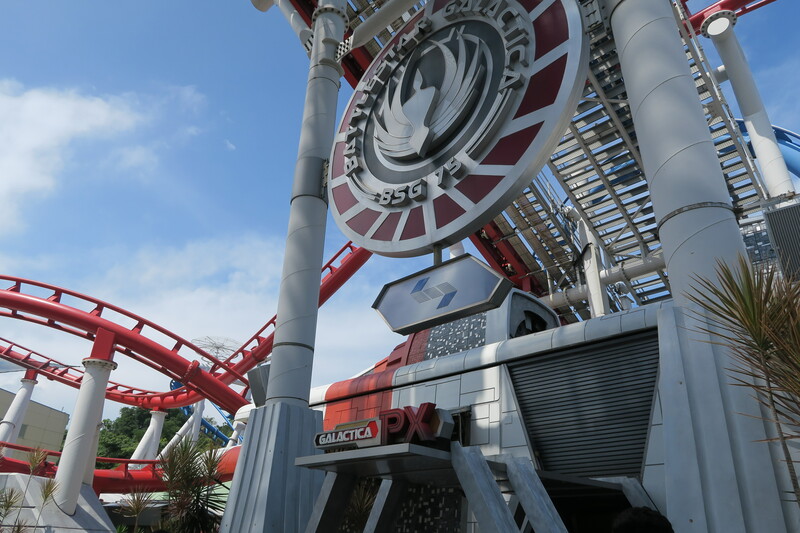 Universal Studios Singapore’s BattleStar Galactica is BACK! After taking a hiatus for about 2 years, the BattleStar Galactica is back in action at Universal Studios Singapore in Resorts World Sentosa! If you’re as excited as I am, head down to ride the revamped rollercoasters today! 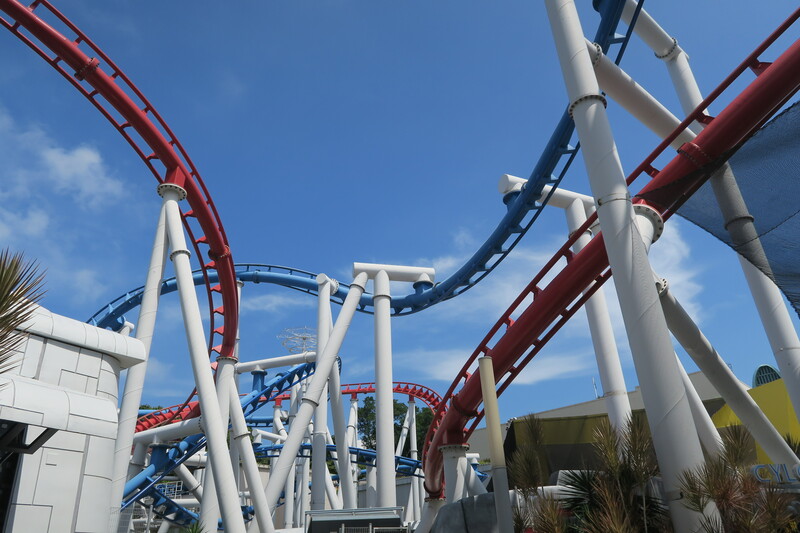 From 21 July 2013, one of the biggest attraction in USS, Battlestar Galactica has been closed. No details or reasons were provided and Universal Studios Singapore only cited that the ride is closed for an attraction review. The public’s response were sad as some have not had the chance to try out the ride. However, it was a much-needed hiatus to reconfirm and ensure safety precautions are in place, to make the reopened ride absolutely safe and fun for us. Featuring a major change of seats, from the 4-seater per row last time to a double seater now, the world’s tallest dueling roller coasters are back in action! WIth the newly revamped seats, riders get to experience a first-hand window seat view and wind. Senior vice president of Attractions at Resorts World Sentosa, John Hallenbec, mentioned that all their attractions have been very strong all the while, and the opening of SEA Aquirium and Adventure Cove did not affect their visitor turnout at Resorts World Sentosa as well as Universal Studioes Singapore. He continued with saying that when guests feel that there’s something for everyone in the family to do, they can have a good time at Universal Studios Singapore. 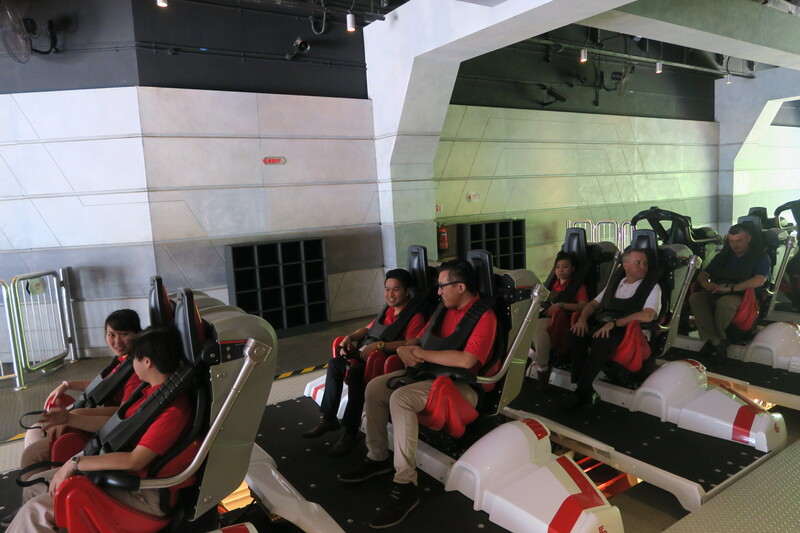 With Universal Studios Singapore’s star attraction BattleStar Galactica opening just in time for the June holidays, a healthy turnout will be expected. USS is looking forward to hearing the screams again!